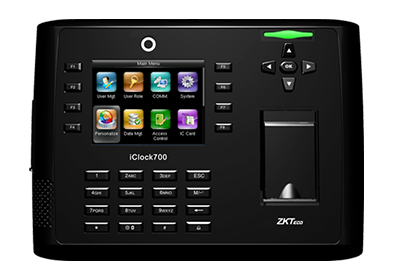 Details UA 200 is a 3 inch TFT Touch screen Fim=ngerprint Time and Attendance treminal. 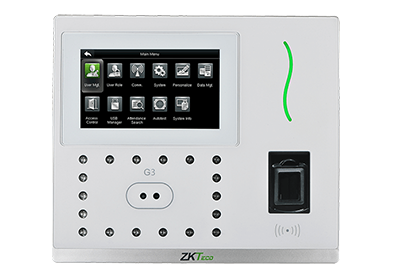 Adopting the new user friendly firmware, UA200 has new features like stunning GUI, more stability, faster matching speed and better expandibility. 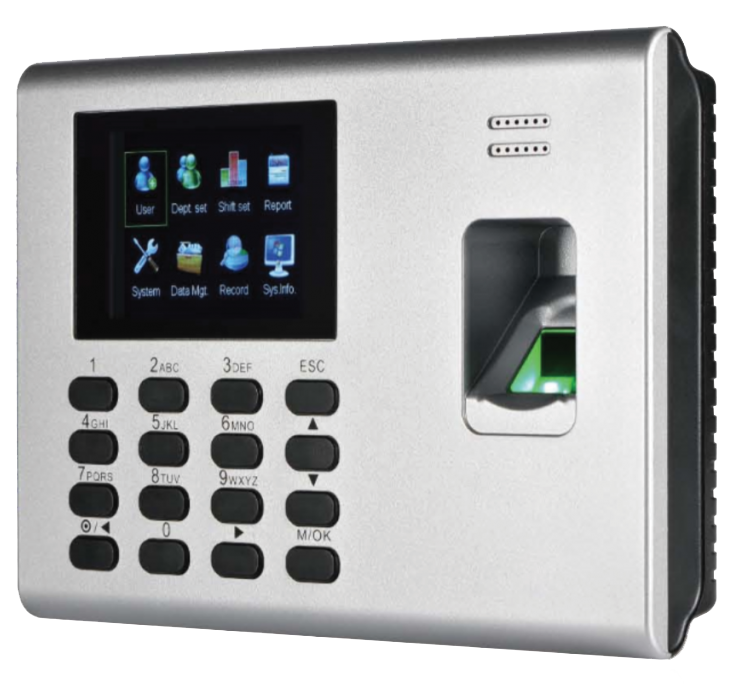 UA200 is compatible with various types of USB flash disks, ADMS and former SDK. 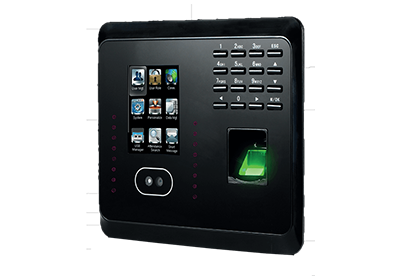 Details IN02-A is a 3-inch Fingerprint Time Attendance &Access control Terminal which is equipped with fundamental features including Wi-Fi, GPRS, built-in battery and more keypads which brings you a simple but more efficient interaction and user experience. It is a good chooses if you want a device with varies function and economic. 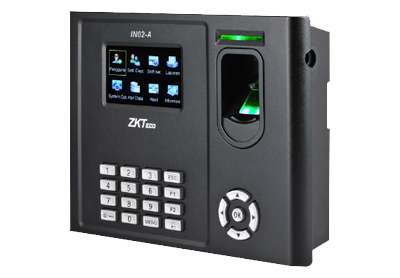 If you need an economic device with various functions, IN02-A would be an optimal choice. 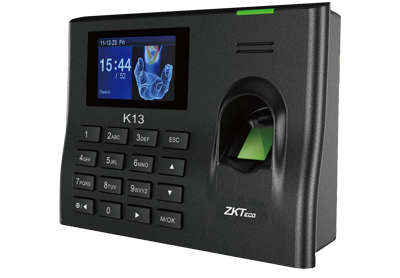 Details K 13 is an innovation biometric fingerprint reader for Time & Attendance applications, offering unparalleled performance using an advanced algorithm for reliability, precision and excellent matching speed. 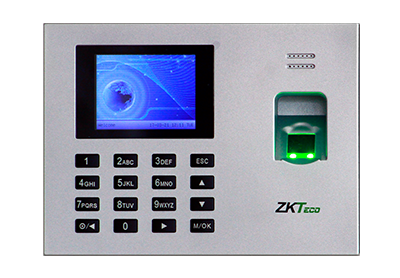 The 2.8 inch TFT can display more information vividly, including fingerprint image quality and verification result etc.TCP/IP communication is standard and make sure the data transmission between terminal and PC can be easily done within several seconds, it is the best choice for small chain stores. 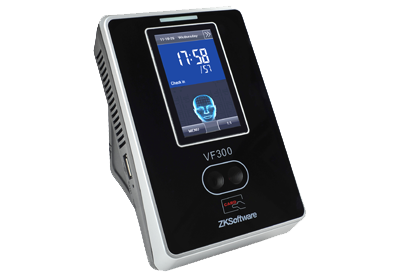 Details The VF380 comes at a time of change in the face recognition world with new ZEM810 hardware platform and latest ZKFace 7.0 algorithm, allows faster enrollment and identification. 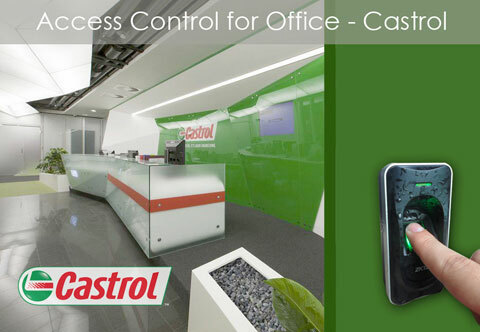 Integrated RFID Technology and optional WIFI comunication adds a special value to this product. 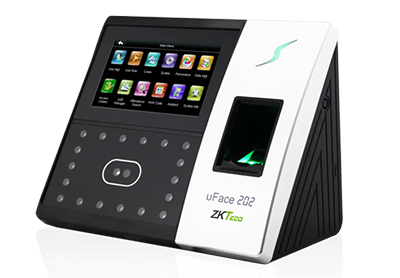 It can hold up to 3000 face templates for 1:1 recognition and 400 for 1:N without dividing groups, and its verification time is less than 1 second. 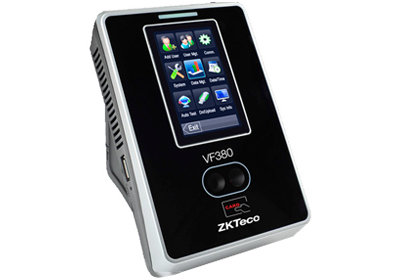 All setting operations are easily done on 3.0 inches TFT touch screen. 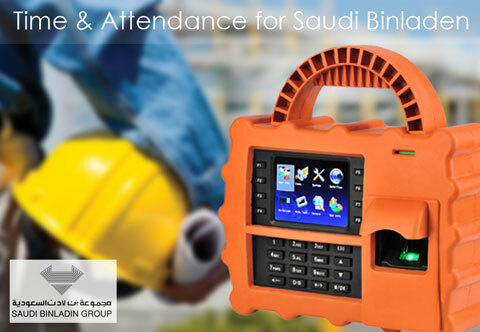 We provide you with the best Time Attendance devices & terminals. 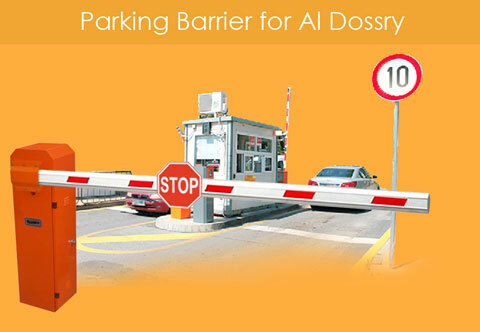 The time can be managed with this level of innovations. 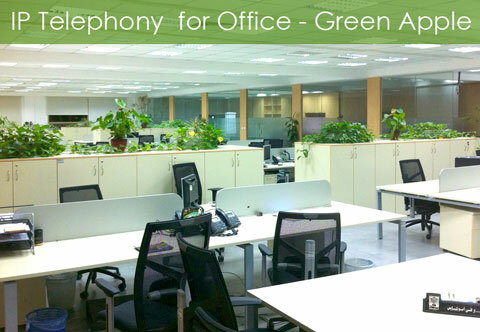 It helps in putting automatic attendance without any manual work. 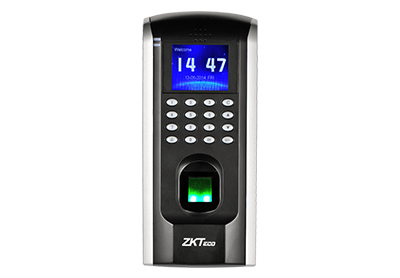 For the better functioning of an organization, we provide you with the best Fingerprint Time Attendance, devices and terminals. 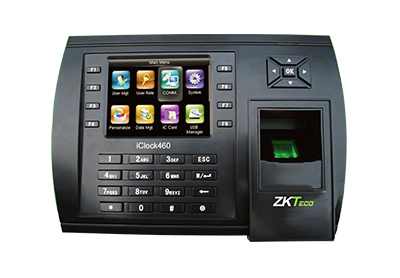 Time Attendance Terminal ensure the accuracy of attendance and it is highly useful to large number of employees. 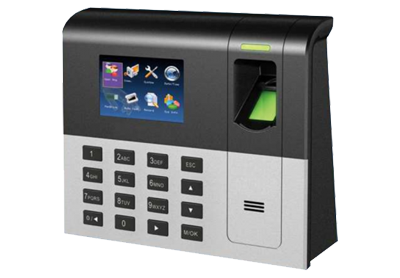 For an effective maintenance of employee attendance, Lana Technologies are the leading Fingerprint Attendance suppliers in Kerala, Chennai, Bangalore, Hyderabad and Kochi.